John Vivyan and Ross Martin starred in this half-hour adventure drama. Initially, the two ran a casino on a boat. Halfway through the 1959-1960 season, worried sponsors forced the producers to remove most references to gambling. Although series ranked in the Top 25 for the season, CBS decided not to renew it. On Saturday, June 6th, 1959, CBS premiered a new crime drama called Brenner, starring Ed Binns and James Broderick as a father-and-son crime-fighting duo. 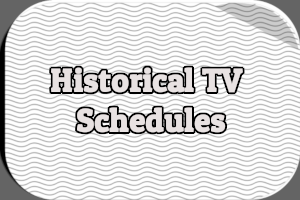 The series aired from 9-9:30PM and was sponsored by Lever Brothers Company. On July 30th, less than two months after the series debuted, The New York Times reported that Lever wanted to sponsor a new show for the 1959-1960 season and was withdrawing its sponsorship of Brenner. The new series would likely to be Mr. Lucky . Mr. Lucky was created by Blake Edwards, the man responsible for Peter Gunn, which debuted on CBS in September 1958 and ended the 1958-1959 season in the Top Twenty. It was loosely adapted from a 1943 movie of the same name which had starred Cary Grant. The movie, in turn, was based on a short story called “Bundles For Freedom” written by Milton Holmes, who also wrote the screenplay for the movie. The closing credits to the television series acknowledged the short story: “Series Based on an Original Story ‘Bundles for Freedom’ by Milton Holmes. Edwards sold the series to CBS without a pilot episode. All he had was the script to the first episode but that was enough. He soon cast John Vivyan in the lead role with Ross Martin co-starring as Andamo, Lucky’s right-hand man . Edwards directed the premiere episode and co-wrote it with Arthur Ross. He also served as production supervisor. Copyright © 2003 Liberty International Entertainment, Inc. The series was filmed at the Metro-Goldwyn-Mayer Studios in Hollywood with additional locations filmed in Long Beach, California. Like Peter Gunn, the series was produced by Spartan Productions, a company owned by Blake Edwards and Don Sharpe. Henry Mancini composed the theme song and other original music, as he had for Peter Gunn. 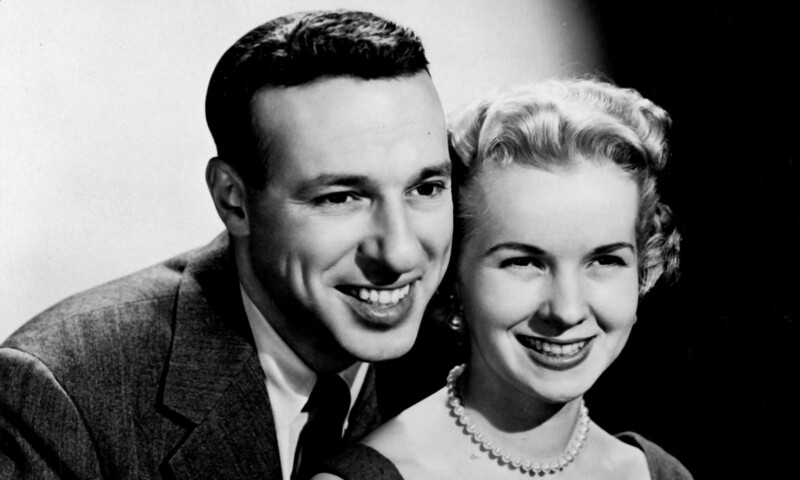 Mancini would release a pair of records through RCA with music from the series: Mr. Lucky 1960 and Mr. Lucky Goes Latin in 1961. Broadcasting reported in late September that production on the series had only recently gotten underway, explaining why it would have such a late premiere . The final first-run episode of Brenner was broadcast on September 19th, 1959; repeats were shown through October 10th.CBS aired a musical special on October 17th and the following week, on October 24th, Mr. Lucky premiered. As the first episode began, Mr. Lucky and Andamo were running a casino on an unnamed island ruled by a corrupt dictator known as El Presidente. Each week, Lucky played poker with El Presidente and lost $1,000 to ensure the continued operation of their business. Unfortunately for Lucky, Andamo was a revolutionary, who wanted to overthrow El Presidente. He used Lucky’s boat, the Fortuna, to run guns, so El Presidente had it sunk. Andamo then conspired to assassinate El Presidente and, after a beautiful assassin succeeded in doing so, he and Lucky were forced to flee. At the end of the episode, having spent their last $5,000 to purchase a small boat, the two are left with nothing but their lives. In the second episode, Lucky and Andamo made their way to an unnamed American city. While attending a costume party aboard a large yacht, Lucky met a beautiful young woman named Margaret “Maggie” Shank-Rutherford (played by Pippa Scott), whose father was a notorious Chicago swindler who owed the mob a lot of money. help the man out. He was able to win enough money playing craps to purchase the man’s yacht, which he decided to turn into a floating casino anchored three miles off-shore in international waters. He rechristened the yacht the Fortuna II. Its name when spoken was Fortuna the Second. The casino was simply called Lucky’s. Maggie became Lucky’s sometimes girlfriend. Pippa Scott would only appear in eight episodes over the course of the series. Lucky was occasionally seen romancing other women. 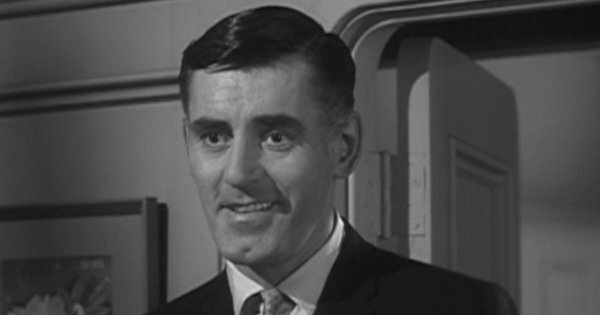 Another recurring character, Lieutenant Rovacs, was introduced in the fourth episode. Played by Tom Brown, Rovacs was a police officer friendly with Lucky and Andamo who often chastised the two for chasing down bad guys themselves rather than calling the police. Brown appeared in 21 episodes. Card expert Joe Scott, who taught John Vivyan how to shuffle and deal like a pro, had small roles in more than a dozen episodes as a croupier or maitre’d . Clegg Hoyt appeared in a number of episodes as Pudge, who operated the water taxi that took patrons from the shore to the Fortuna II. Mr. Lucky was John Vivyan’s first starring television role and he reportedly beat out 30 other actors to get it . His resemblance to Cary Grant did not go unnoticed after he was cast as Mr. Lucky, but he swore nobody had made the connection because his earlier television work had him wearing long hair and beards and dirty outfits . Of his character, Vivyan explained “I’m the only modern gambler on TV. Gamblers generally aren’t thought of as being heroic, but we keep Mr. Lucky pretty humorous, and he’s strictly honest when it comes to gambling. He plays the percentages” . Lucky’s real name was never revealed. He carried a pocket watch that when opened would play the first five notes from the Henry Mancini theme song for the series. Critics were not enthusiastic about the series, although some seemed resigned to the fact that it would likely succeed. In a very brief look at some of the new CBS shows premiering in October 1959, Richard Anderson of The Chicago Daily Tribune suggested “it will be lucky to last the season” . Walter Hawver of The Knickerbocker News lamented that the “wholly contrived” Mr. Lucky was replacing the “much more attractive and interesting” Brenner; of the premiere he wrote “the production is slick but, from this vantage point, it is also sterile. This should be no bar to its success” . Reviewing the premiere episode for United Press International, Fred Danzig wrote “Vivyan manages to somnambulate through some shattering experiences with a supercilious smile or boisterous laughter. It’s all very dreamlike and, since the gamble appears to have been taken out of this combination, TV’s new gambling man should stick around for a while. The cards are stacked for him” . And the entry for the premiere in the television listings found in The Chicago Daily Tribune noted “There’s a beautiful girl [Ziva Rodann], a minimum of talk, and nice background music. The youngsters should like it” . In a heavily sarcastic review of the series for The New York Herald Tribune, published in mid-January 1960, John Crosby was critical of the setting, the characters, the cast and the writing. He concluded by stating “Mr. Lucky has great style and elegance and a high good humor about it. It has — for lack of a better word — sureness of touch and never aims any higher than it can successfully go — which isn’t very high. The gambling ship is moored just outside Southern California waters. A sort of lower caste substitute for the Riviera, appropriate to television” . Lucky was a gambler but he was an honest one and along with Andamo ran an honest casino aboard the Fortuna II. There was no fixing or rigging of games at Lucky’s. But that certainly didn’t stop a lot of dishonest people from showing up. Lucky and Andamo often found themselves facing mobsters, gangsters, smugglers, hit men and counterfeiters. Although they preferred to stay out of dangerous situations the two were more than willing and able to take care of business and defend themselves. With the casino setting in place after the second episode, the series began in earnest. In one early episode, a man wanted by the mob managed to sneak aboard the Fortuna II, forcing Lucky to hide him. But the man got drunk and began stumbling around and his wife started interfering. Eventually, Lucky and Andamo were caught and the man was shot. Lucky pretended the man had been killed and volunteered to dispose of the body by throwing it over board. It was only then that things really got complicated. In another episode, a millionaire with a murderous past had the one witness to his crime killed. Lucky and Andamo began putting the pieces together and soon found themselves being held at gunpoint. That’s when a jealous Maggie burst in, thinking she had caught Lucky with another woman. Instead, all three were in trouble. Another episode began with Maggie waiting for Lucky and Andamo to join her at a tea room. Suddenly, two men walked in and calmly shot another man sitting nearby. Maggie was the only witness. Worried that the killers might go after her, Lucky and Andamo tried to convince Maggie to go into hiding, but she was reluctant, both because she wanted her moment in the spotlight and because she wanted to do the right thing. meanwhile, a lawyer came looking for Maggie to let her know an uncle had left her a tidy sum. The killers hired a man to impersonate the lawyer, an overjoyed Maggie went on a shopping spree without telling anyone, and Andamo was left under the mistaken impression that he had led the killers right to her. Other episodes involved the Fortuna II being used to smuggle counterfeit bills; the Fortuna II being used to smuggle gems; an old friend wanting Lucky to help him plan a federal crime so he could go back to prison; Lucky getting involved in a dangerous game of pool; the theft of a check written to pay off a substantial gambling debt; and an elderly gang robbing Lucky. Not surprisingly, given the clientele visiting the Fortuna II, Mr. Lucky was a violent series. Lucky kept a revolver in a drawer in his stateroom aboard the Fortuna II and was a good shot. So was Andamo. During the first three episodes alone, a man was stabbed to death, Lucky fought with two men (and won), a man was shot, Lucky and Andamo fought with three men (and won) and a woman was knocked out not once, not twice but three times by being slugged in the face. The series didn’t shy away from violence against women. Lucky wasn’t afraid to hit a woman if he thought it necessary. Maggie was roughed up on occasion. But she also got in on the action, smashing a few bad guys over the head with a statue and punching a woman in the face. Andamo often provided some comic relief, offering witty comments about the situations he and Lucky were always finding themselves in, exaggerated to some degree by the character’s Spanish accent. But Andamo was not a buffoon nor simply Lucky’s sidekick. While John Vivyan was the star of the series, Ross Martin had plenty to do because Lucky and Andamo were partners. Lever Brothers took issue with the gambling depicted on Mr. Lucky so CBS insisted that changes be made to the series . Blake Edwards was so incensed that he had his name removed from the credits . According to John Vivyan, Edwards was “sore about it because he thought it was too much interference. But in some respects, the change was good. With gambling as the main angle, it meant Lucky was always involved with gangsters. That was limiting” Edwards was so incensed that he had his name removed from the credits . The change took place during the February 6th, 1960 episode (the 16th overall). Lieutenant Rovacs, due to an obscure ordinance from the 1880s, is ordered to shut down Lucky’s. But when he gets on board the Fortuna II he discovers that Lucky was one step ahead of him. Lucky’s was no longer a casino but instead had been transformed into an exclusive, private club open to members only. The giant pair of dice fastened to the side of the ship that lit up to attract gamblers was replaced with a simple sign that read “Lucky’s” alongside a tall, thin cat (the same one-eyed cat seen in the opening credits). Doing away with the casino did little to change the plots. In the episode that saw the casino converted into a restaurant, Lucky saved a depressed young woman from an incredibly wealthy family who jumped overboard and was surprised shortly thereafter when she asked him for $25,000. Lucky eventually learned she was being blackmailed and along with Andamo followed a twisting path to the blackmailers in an attempt to free her from the cycle that caused her to try to take her own life. In another episode, a businessman came to Lucky with an offer to buy the Fortuna II, an offer Lucky was advised to accept. When he refused, the man began making trouble. He hired a gang of thugs to start a fight in the dining room and had a vicious dog attack Lucky. During a confrontation with the man, Lucky received a phone call from Maggie who informed him that the Fortuna II had been quarantined. Unable to prove anything to Lt. Rovacs, Lucky and Andamo had to take matters into their own hands. They eventually got the drop on the man and learned that he wanted to take over the Fortuna II so he could use it as a floating base to smuggle illegal immigrants into the country. Other episodes in the latter half of the season saw Lucky’s salad chef thrown in prison; Lucky framed for tax evasion; a man who informed on the mob, in hiding and believed dead, trying to reconnect with his son; Lucky winning a date with a pretty actress; and Lucky robbed by a waiter he had earlier given a second chance. In the final episode of the season, Lucky placed an expensive wager on the outcome of an election in the fictional Guatemaca. The man he made the bet with, worried he’ll lose and unable to pay, tried to convince Lucky to call it off. When he refused, the man hired someone to kill Lucky. Ironically, the man won the wager and tried to force Andamo to pay only for Lucky to show up safe and sound and turn the tables on him. Guest stars included Jack Nicholson, Barbara Bain, Yvonne Craig, Frank Gorshin, Ted Knight, Richard Chamberlain, Jack Elam, Joi Lansing, Nita Talbot, Stanley Adams, Billy Barty and Yvette Mimieux. Mr. Lucky aired from 9-9:30PM on Saturdays opposite The Deputy on NBC, which like Mr. Lucky was a new entry for the 1959-1960 season, and the first half of The Lawrence Welk Show on ABC. By late December 1959 it was doing well enough in the ratings for United Press International to call it “one of the few newcomers liable to remain on the air next year” . In a February 15th, 1960 article examining an early look at the 1960-1961 season, Broadcasting noted that the CBS Saturday line-up was one of the network’s strongest and probably wouldn’t be changed for the upcoming season . Likewise, Larry Wolters of The Chicago Daily Tribune listed tentative network line-ups for 1960-1961 season in March and Mr. Lucky was still in its Saturday time slot . That same month, Vivyan revealed that he had to give up a film role opposite Ingrid Bergman because it would conflict with production on the second season of Mr. Lucky . On April 11th, however, Broadcasting reported that Mr. Lucky was one of a more than a dozen shows CBS had cancelled . Wolters also reported the cancellation on April 16th . The Associated Press reported in mid-May that CBS had revealed no official reason for why it was cancelling Mr. Lucky, which was doing well in the ratings. But rumor had it that the network has given the show’s time slot “to a new series owned by a talent agency in return for persuading a comic to do a weekly series” . John Vivyan wasn’t worried: “It’s just a question of whether we’ll end up on NBC or ABC. ABC is especially eager to have it. Don Sharpe of our company [Spartan Productions] is in New York right now and will be setting a deal” . 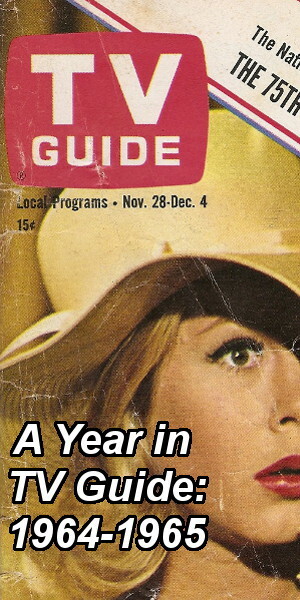 As late as June 1960, Vivyan still held out hope that another network would pick up the series . But none did. A total of 34 episodes of Mr. Lucky were aired over the course of the 1959-1960 season, with the final first-run broadcast on June 18th, 1960. Repeats of the series were aired through September 3rd, 1960. The series ended the 1959-1960 season tied for 21st in the Nielsen ratings with two other CBS shows: Zane Grey Theater and General Electric Theater. Ratings for individual episodes are unknown. However, the series ranked 15th in The Pulse ratings for the period covering May 15th through June 15th . 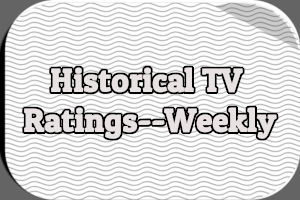 And repeats ranked in the Top 40 during the period running from June 6th to August 7th, according to a study from McCann-Erickson’s M-E productions It was one of three shows new during the 1959-1960 season that ranked in the Top 40 during that period yet had been cancelled. The others were Tightrope on CBS and The Alaskans on ABC. All three shows were “felt to have benefited from strong time periods to which they did not bring enough audience appeal of their own” . Indeed, although it ranked in the Top 25 for the 1959-1960 season, Mr. Lucky was lower-rated than the show that preceded it (Wanted: Dead or Alive, which ranked 9th for the season) and performed far worse than the show that followed it (Have Gun — Will Travel, which ranked 3rd for the season). One could certainly argue that its ratings were due in large part to its “hammock” time slot between two huge hits. In November 1960, John Vivyan discussed Mr. Lucky‘s cancellation with Vernon Scott of United Press International. He explained “we had good ratings but Jack Benny’s production company had another show it wanted for our time slot. It wasn’t much of a contest, and CBS dropped us. I wasn’t upset when we were cancelled. The show did as much for me in one year as it could have done in five. But I can’t understand why they killed a show with good ratings to put on so many bad series this year” . Checkmate, from Jack Benny’s JaMco Productions, premiered on CBS on Saturday, September 17th, 1960, airing from 8:30-9:30PM. In July 1961, The New York Times reported that Official Films had acquired the rights to Mr. Lucky and several other shows including Peter Gunn and Yancy Derringer. The company planned to offer them to TV stations for local syndication . Digital specialty network MeTV aired Mr. Lucky from January 2014 to August 2015. In the late 1990s, Diamond Entertainment released 10 episodes of Mr. Lucky on VHS, available either as individual tapes containing two episodes each or as a collector’s pack with all 10 episodes on five tapes. In October 2012, Timeless Media Group released Mr. Lucky on DVD. The 4-disc set includes all 34 episodes plus a CD containing music from the series composed by Henry Mancini. 1 Adams, Val. “TV To tell Story Of Photographer.” New York Times. 30 Jul. 1959: 55. 2 “Gambling Series Set to Debut Saturday.” St. Joseph News-Press [St. Joseph, MO]. 24 Oct. 1959: 2. 3 “The new CBS-TV weekly series.” Broadcasting. 28 Sep. 1959: 58. 4 Scheuer, Steven H. “Gambler Hero Starred In ‘Mr. Lucky’ Series.” Niagara Falls Gazette. 22 Oct. 1959: 12. 5 “‘Mr. Lucky’ Prophetic for John Vivyan.” Long Island Star-Journal. United Press International. 26 Dec. 1959: 10. 7 Lowry, Cynthia. “John Vivyan’s Lucky — At Last.” Chicago Daily Tribune. 13 Mar. 1960: N13. 8 Anderson, Robert. “Japanese Painter a TV Draw.” Chicago Daily Tribune. 1 Sep. 1959: C11. 9 Hawver, Walter. “TV-Radio in Review: Sprightly Bow for Mrs. FDR.” Knickerbocker News [Albany, NY]. 26 Oct. 1959: A13. 10 Danzig, Fred. “Philharmonic Presents International Program.” Times Record [Troy, NY]. United Press International. 24 Oct. 1959: 26. 11 “Today’s TV Previews.” Chicago Daily Tribune. 24 Oct. 1959: 16. 12 Crosby, John. “‘Peter Gunn’ Gets A Run From Jaunty ‘Mr. Lucky’.” Hartford Courant. New York Herald Tribune, Inc. 17 Jan. 1960: 4H. 13 Witbeck, Charles. “Lucky’s Gambling Ship Becomes Restaurant on Saturday Series.” Niagara Falls Gazette. 17 May 1960: 4. 15 Thomas, Bob. “Despite Good Rating, CBS Bounces ‘Mr. Lucky’ Show.” Union-Sun & Journal [Lockport, NY]. Associated Press. 14 May 1960: 9. 17 “Winter Book on the Fall Lineup.” Broadcasting. 15 Feb. 1960: 32. 18 Wolters, Larry. “Cowboys, Indians, Marshals Will Ride Again Next Season.” Chicago Daily Tribune. 20 Mar. 1960: N12. 20 “Networks Prime for Fall Battle.” Broadcasting. 11 Apr. 1960: 27. 21 Wolters, Larry. “TV Ticker.” Chicago Daily Tribune. 16 Apr. 1960: A9. 24 Wolters, Larry. “TV Ticker.” Chicago Daily Tribune. 4 Jun. 1960: C7. 25 “Pulse: Top 20 Network Programs.” Broadcasting. 5 Sep. 1960: 41. 26 “What holdovers from this year to next?” Broadcasting. 5 Sep. 1960: 28. 27 Scott, Vernon. “Television’s Tough Guys Aren’t Always So Tough.” Tonawanda News [Tonawanda, NY]. United Press International. 11 Nov. 1960: 9. 28 Shepard, Richard F. “Green Novel Set for TV on Nov. 26.” New York Times. 4 Jul. 1961: 37. The series’ primary sponsor was Brown & Williamson Tobacco Co. [Life cigarettes]- THEY were the ones who objected to “Mr. Lucky” being a gambler, insisting he and his boat become “something else” or they’d cancel their sponsorship. Even after the “Fortuna” became a “floating nightclub/restaurant”, B&W STILL objected to the series’ “unsavory” background, and pulled out of it. Because CBS was unable to find another “primary sponsor”, they cancelled the series at the end of the season, despite its high ratings. My late mother (Jo Waffle) and John Vivyan were dear friends and both 1946 graduates of the American Academy of Dramatic Arts in NYC (same class as Colleen Dewhurst). She called him her “mentor.” The following summer, they and their friend, Teddy Montague (who later became the long-time personal secretary for George Burns & Gracie Allen) went to the Barter Theatre in Virginia for a season. It was there they met another budding actor, Ernie Borgnine. I digress! My mother adored John, but it was strictly platonic (or so she says). He was quite a bit older than her. John had once been a ballroom dancer, but an accident changed all that, so he took up acting. I believe he later told her via Ted M. (whom she remained friends with until his death a few years ago) that his obvious resemblence to Cary Grant didn’t hurt in getting him the role of “Mr. Lucky.” Grant of course played him in the movie. My mother’s acting career was pretty much over by the early 50s, so she fell out of contact with John, who died in the early 80s. We last saw him on a Coffeemate commercial, which made her cry. It’s great to know that a Mancini hit was written for a friend of my late mother’s! Somewhere I have a picture of Henry Mancini and John Vivyan together that belonged to my mother. Nice story. And it was sad, because John Vivyan was a good actor. But did not have much of a career. Last time I saw John was in the mid to late seveties I worked at the “john Vivyan Message Center” ( in front of a switchboard!) he and Sandford Cormora shared ownership John would come in & sometimes he even worked with us. He was a sweet wonderful guy. Cormora (I don’t remember if it was spelled with a C or K was a manager for Annette Funachello sp? When she was on Mickey Mouse I believe he managed others as well. We had a party or two at their house fun fun! Do you have any idea of which episode the yacht appeared in? I would love to see that! I was just over two when the series came out. I don’t remember much about it from then other than that cat in the credits scared the hell out of me! I would run and hide behind my father’s chair when it came on. After the opening credits I was OK until the mid-point bumper would come on and the smaller white kittens became the title “Mr. Luckyâ€. The cat became an “op-art” piece and one could find it in the early ’60’s as a lamp, decorative bottle or relief-silhouetted in a frame. My parents would kid me about buying it and putting the works in my room. I’d of course protest. Then they went and bought Mancini’s “Mr. Lucky” LP. I would stare, fascinated at the cat until my fear eventually went away. I was about 7 or 8 years old and my father loved Mr. Lucky and we watched it as a family from start to finish! I LOVED that cat! There was something about his wink that I found amusing, even at that young age. Interesting that a tobacco company had concerns about a program featuring gambling. They all smoked too. Far worse but pardon the editorial. I have the DVD series and as I watched and recalled the various episodes, recalling many, my two daughters would stop to watch it with me. A testament to a well designed, well-acted show! Plus one very thought inducing, winking cat! It’s very odd how those things affect us. My parents took me to see “Gone with the Wind” when I was about 5. Bad idea! My sister had a record of “Tara’s Theme” but she couldn’t play it because I thought the movie was so sad I cried every time I heard that song! Shayne, I’m impressed you can even remember being scared by the opening credits to Mr. Lucky, given that you were only two. Thanks for sharing your story. My mother’s aunt gave me a few of Mancini’s LPs that we didn’t yet own, back in the mid 70s, and one of them was the Mr. Lucky soundtrack. It took me up until a couple of days ago to even FIND any footage online of this series. I found a compilation of clips from an episode with Barbara Bain on YouTube, and I “found” four episodes (including the pilot and the second episode) that I’m able to watch, albeit not in the best quality. From what I can see, it was an entertaining series, and it’s a shame it was cancelled. I’ve only watched the pilot episode, and it was much better (and also much different) than what I expected. Can’t wait to see more of them! At least Peter Gunn made it onto video at some point, and I remember watching a few of the reruns in syndication back in the 1980s. I have never seen Mr. Lucky in my travels, and the only thing I see is a poor-quality DVD set on Amazon with 23 of the episodes. I’d even settle for that until a proper release comes along…if ever! Hey Rudy..They officially released 10 episodes on VHS many years ago. They are available on Ebay from time to time. Also if you type in John Vivyan you will find Mr Lucky DVDs that are in better condition and if you ask, they will sell the whole series. This remains one of my favorite shows of all time…. For the record, the Fortuna II sank off the Acapulco Yacht Harbor in 1982 where it had fallen into disrepair after being retired from Bay Tour service. It is a dive site attraction to this day, although not a good one as it is upside down. I finally found the theme song. I was eight years old at the time when the series was on. But I remember Mr. Lucky. The theme song always touched my heart, even as a child. When I listen to the music, it brings back such great memories of that time period. I hope Netflix will get the DVD’s. Thank you Mr. Mancini for writing one of the best theme songs ever on television. Geoffrey, thanks for the information about the real Fortuna II. Vance Vivyan and Ross Martin as well as the Theme Music. It was pity that this series was so short, a classic from its time. It really is an interesting story. The Fortuna II(The Alamo) was really a famous and prestigous yacht. In the second episode “They shall not pass” the original name is partially visible when Lucky and Andamo are talking to the little boy on the dock. I am enclosing a link to the official summary of the yacht. It was donated to the Navy by Eleanor Widener (of Titanic fame) to serve in the war prior to being returned to private ownership after Japan’s defeat. I have pretty vivid memories of watching the series during it’s initial run, when I was around 5. My parents loved it, including the Mancini music. They bought the LP, which was constantly played throughout my childhood. I also remember watching the reruns which aired during the daytime a few years later. A few “Mr. Lucky” fans meet at andamoinmrlucky.proboards.com to discuss all things Lucky and Andamo-ish, plus news articles and fanfic. We’d love more fans to participate – the more the merrier. I was 9 or 10 years old when Mr. Lucky first aired. 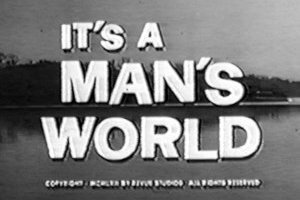 It is my favorite show of all time (John Vivyan and Ross Martin being my favorite actors), followed by 77 Sunset Strip and Peter Gunn. I recently purchased 2 of the DVD sets, and I play the soundtrack more than anything else during my travels. Now that I’m retired, I spend most of the year living aboard my yacht (much smaller than Fortuna II), and while I was drawn to boating since I could walk, it was the Mr. Lucky series that made me want to spend most of my time living aboard ship. Even though I own the DVD sets, I never miss watching Mr. Lucky on METV channel 42 on Dish TV in the NY/NJ Metro Area on Monday morning at 2:30AM immediately following Peter Gunn. I always loved the way Maggie (Pippa Scott) could haul off and belt or at least swing at a guy when she got really teed-off. Wow this a great site. John Vivyan was my uncle and I had the opportunity to meet him several times throughout the years. The last time I saw him was in Beverly Hills in 1981, during a spring-break trip from college. He was good friends with Jerry Herman (Hello Dolly, Mame) and I remember him telling me if I arrived 20 minutes earlier, I could have met him. Oh well. I never got to see Mr. Lucky until a few years ago when I was given a VHS set. My Dad was actually working on the Twilight Zone back in 1959, I’ll try to get him to add a little more Mr. Lucky back story. It is difficult to find good dvd copies of the series. A couple sets came out – one with 10 eps and one with 13. I have them both but they are badly cut. I found a private sale of a set with all 33 eps, but I’m not sure they weren’t cut a little. However it’s the best set I’ve found. I got it on ioffer.com. Man, I wish John Vivyan was my uncle…. Talk about bringing back great memories. I relate to the poster who was afraid of the cat. It, too, scared the hell out of me as did Ross Martin. I was only five at the time. About a decade ago, I started to collect old television shows and movies so I could write some film and television books. One of my joys was putting together a complete collection of Mr. Lucky. The quality ranges from slick to abysmal. Thanks for the tid-bits of info. I am also saddened by John Vivyan’s brief career. I remember seeing him as one of the Penguin’s henchmen in a Batman two-parter during the Sixties. I couldn’t deal with him being beaten up and making funny faces while being pummeled. I’m not sure if he was clobbered with bowling pins or what but it was still distressing. Ross Martin and Pippa Scott still had thriving careers around that time but not John Vivyan. That is a shame. With his looks and talent, he should’ve moved to New York and gotten into the soaps and the theater, or become a commercial pitchman, a la Squire Frydel, Dennis Haysbert, etc. He also would done well doing voice over work (i.e. cartoons). I remember both “Mr Lucky” and “Peter Gunn” were rerun Sundays around 1 am on WCBS in NY in ’87 right after “Rockford Files”. Fans of Mr. Lucky, rejoice. Timeless Media Group has released the complete series on DVD. While it is Thanksgiving and there is much to be grateful for, these newly released episodes are not a blessing. They are not “professional” quality nor are they unedited. There are scenes missing and they are lacking quality on certain episodes. The public domain episodes on youtube remain the ones to beat . Geoffrey, that is very disappointing to hear. mr lucky is back on . new network called ‘metv’ in philadephia area. comcast. may be be in other areas as well. MeTV currently (as of this writing) airing Mr. Lucky every Monday morning at 2:30. 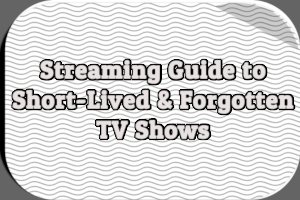 See http://metvnetwork.com/about.php for more information. Mr. Lucky How I loved it when I was 11. I loved the stories on the floating night club, Henry Mancini’s song for Mr. Lucky and the Black Cat & dice. I wished it would lasted at least 4 season’s I’m also glad I finally own all the episodes on DVD’s. Hello all. I love watching Mr. Lucky on MeTV on Monday mornings (Sunday night to me). I looked him up on Wikipedia, and it was good to read about him, but it said nothing at all about a wife and/or children, and none of you here have written about a family he may have had. Does anyone know if he had a wife and kids? I have read that he prefered the company of men…. I am curious to know how tall was John? It seems in some scenes he almost touches the doorway .My goodness he must have been over 6 feet tall. I cannot find his height anywhere ,and I am tired of searching and nowhere else to search. Is there really a place to find his correct height? I think not,,,,,,, anywhere. I don’t care if he preferred men. He was so sophisticated and cool on the series. And he and Martin made a great pair. Loved that show when I was 11, and love it now. Mr. Lucky was my favorite song of all time. Thank the Lord for Henry Mancini. Why did John Vivyan disappear? great show, so much better than the new stuff, the old shows had more creative writing, used lotsa on location filming, and had the big advantage of low production costs. The cheapness of the new shows is actually embarrassing to see. I was a big Peter Gunn fan. I was in my early teens when it aired, and he was my role model – cool guy, cool haircut, cool girlfriend. All with the coolest music in the universe! My older sister bought the Gunn soundtrack, and when I heard it, I became a lifelong avid fan of Henry Mancini’s music. The Peter Gunn album remains my hands down favorite album for almost 60 years. When Mr. Lucky started up, I loved the show, but always considered it to be kind of a sideways spinoff of Peter Gunn. I never missed an episode. The cool guy + cool music was a winning combination for me. Even though the Peter Gunn and Mr. Lucky producers didn’t have access to color TV, the shows wouldn’t have been half as good in color. After all the shows were really 1/2 hour film noir movies. Remember how Blake Edwards use wet city streets as an ominous effect ? I note that a couple of people say the black cat in the intro credits for Mr. Lucky frightened them. I understand how that could happen, but my reaction was quite the opposite. I became entralled with that feline symbol of coolness. Over the years, I collected skinny black ceramic cats (and a few white ones) along with a Lanvin poster featuring black cats – most of the cats were purchased from thrift stores. I would be glad to share a photo or two of my cat collection (probably 30 of them) if this website wants to contact me. No, I don’t have any real furry cats in my home. Just the Mr. Lucky style cats. love mr lucky I hope Metv brings it back love the cat and I missed the white cats turning into the name mr lucky.